As we gear up for the holiday season (how is it already November?! ), we want to share our 2018 gift giving guide featuring some of our most favorite things! Hospitality and creating moments of joy are two cornerstones of our core values, so the holiday season always make our planner hearts soar. This year we have curated a list of 25 items that made our top picks for loved ones. Simply click on the item to shop! We would love to hear what you’re gifting this year! Leave us a comment and happy shopping! Anthropologie always comes through with some beautiful gifting options! We love this journal that focuses on making lists of happy things in your life — what better time to start counting your blessings than the most wonderful time of the year! There are so many reasons to fawn over Jo Malone signature scents (we have even used them to create a custom wedding day fragrance in a reception space), but our favorite is the option to layer fragrances to create your own blend! This is perfect little 2- bottle gift option. Our favorites are Peony + Blush Suede and Grapefruit! Some of the best things in life come from Charleston, SC. This candle line is no exception. You can count on the McLean Events team to have a yummy candle burning in the studio on the regular, these are going into the collection. CCC just released their Charleston Christmas candle but you will probably need more than one, Coffee on King and Sweetgrass Basket are must-haves too! Complete a bar cart with these lovely linen cocktail napkins! Lettermade has the cutest selection of designs from puppies to Coco Chanel! They are even machine washable for easy care. We know more than a few past and current couples that definitely need a set of these (Truffle, Mosey, Charlie, just to name a few)! A McLean Events Team favorite! Barefoot Dreams is the softest, coziest, dreamiest line of products out there. We all own the robe, but for something more versatile we recommend the cardigan! 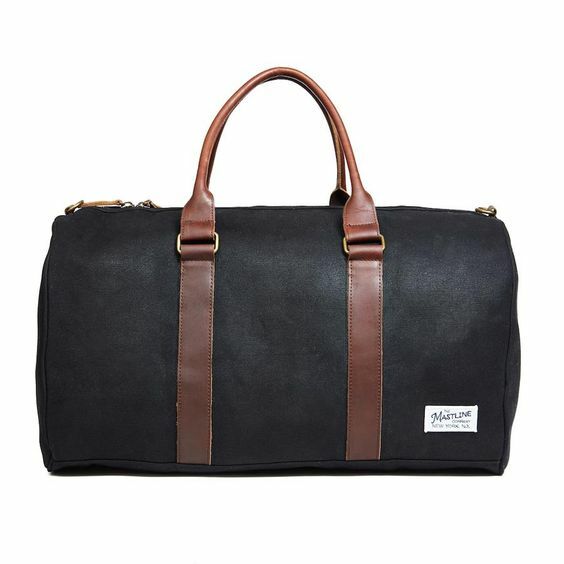 Can’t forget about the guys in our lives - we love this weekender bag from Mastline. Easy to carry with top handles or shoulder strap, perfect for a short trip or weekend away. There isn’t a recipe in here that doesn’t sound amazing. If you are gifting to someone who grew up in the South, this will feel like home to them. If you are gifting to someone who didn’t, they are going to all most certainly fall in love. It is even peppered with stories from the author’s childhood that will warm your heart and take you back in time. Fashion meets function. 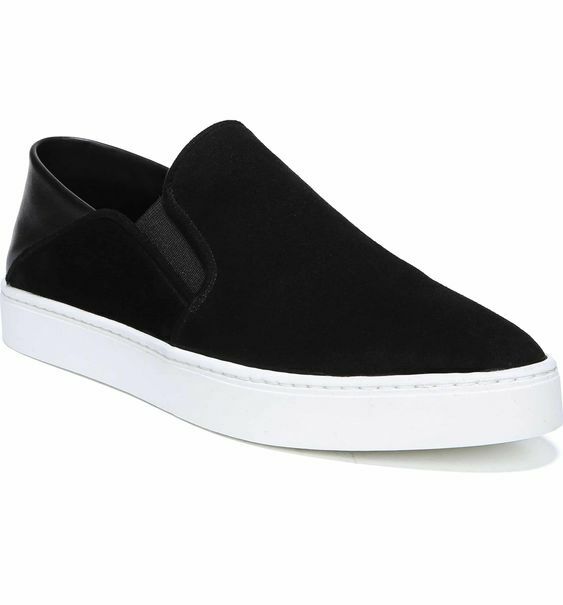 This sneaker is perfect for your friend or family member that is on the move, but wants to look chic. Comfortable, cute, easy, fav. They come in a range of colors and materials too! Carrington has a pair and these black suede lovelies are on the top of her Christmas list this year. We obviously had to include this item from West Elm, because who doesn’t want to be a unicorn when they are little?! These adorable bath wraps will be a big hit for your little loved one. They are also monogrammable! When it comes to home goods Serena and Lily always has the freshest looks for your casa. We love these serving trays for their pop of blue and multiple size options. This would be a lovely pick for your favorite hostess or gal-pal. Wouldn’t they be pretty to serve crisp champagne and pomegranate cocktails on Christmas?! We love to shop local whenever possible. For a unique gift idea we love these locally grown and crafted wreaths from Nicholas Askew Designs. They are made with the recycled bracts from the cotton plants he hand picks on his family farm right here in North Carolina. Y’all know we love a pop of color. 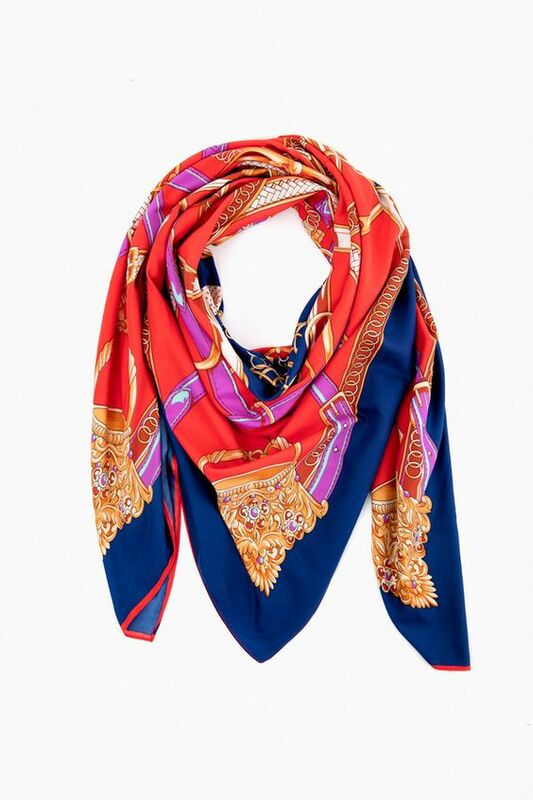 Gift this gorgeous Tuckernuck scarf to your fashionista Mama or best friend. It’s the perfect statement piece and under $50! J.Crew is always a go-to for classic looks and staple pieces. Keep your guy warm this winter with these simple yet handsome pair of smartphone friendly wool gloves! Leave it Joanna Gaines to make us all want to be gardeners. This is would the perfect little stocking stuffer for your loved one with a green thumb! There are so many to choose from - Poppies, Texas Bluebonnets (of course), Sweet Peas, and a range of fresh herbs! Everyone needs a good set of wine glasses - if you know someone that doesn’t, this is the gift for them! These Schott Zwiesal stems can be found at Sur La Table and are a great set for your friend who entertains often or just loves red wine (obviously everyone ever). Statement earrings for the win. We love these resin tortoiseshell drop earrings from the ever stylish Bauble Bar. Is your girlfriend group doing a gift exchange - these would be a big hit! They are also available in a range of other colors. Erin lives by these little gems. They may be a bit pricey, but they are great for people who are always in need of more than 2 hands! Works great for busy professionals or a chatty teen niece or nephew. They are Bluetooth activated and work with iOS 10 or later. Hubby or boyfriend need a new tie - how about throwing in a corresponding pocket square and socks to take it up a notch? Tie Bar has a range of fashion forward (think velvet and skinny ties) but still classic looks for guys! This is also a great resource for groomsmen gifts and accessories for wedding day. You won’t know this was missing from your kitchen until you have one, then you won’t know what to do without it! Do yourself a favor and scoop up one for yourself and your neighbor. Keep it right by your oven to be within arms reach when you need that quick pinch of salt to complete a yummy dinner! You could also pair with a few different exotic salts (Amazon sells Pinot Noir salt, btw) for your giftee to try out in their cooking! 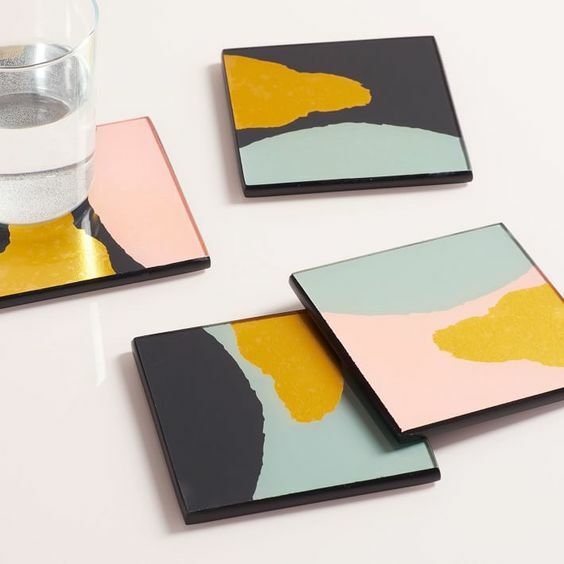 Another great stocking stuffer idea - we like these color block gold foil coasters from West Elm. They are the perfect pop of pizzazz for a coffee table! Another local find - these handcrafted bird feeders and houses are stunning and so well made. Such a pretty addition to Mama’s backyard! A unique gift for someone who loves to add interesting pieces to their home decor. We love incorporating unexpected textures and materials to tablescapes - these are definitely an eye catcher, we would pair with a pretty colored taper! Well here we are on the “fanny pack” bandwagon believe it or not. This 90’s staple is make a strong comeback and we aren’t mad about it. We love this option from Tory Burch because you can wear it 3 ways - as a belt bag, across your chest, or as a true crossbody. We’re also a big fan of the pebbled soft leather. Never drink warm champagne again. We are loving these stemless Corkcicle flutes for tailgating or a warm Saturday afternoon on the patio. They come in 6 colors and have a no-slip grip - no party fouls here. Last but certainly not least - one our team’s favorite uplifting and empowering books. Bob Goff’s “Love Does” is a compelling piece on the power of love and how the action of love can change your life. AND all the proceeds of the book go to support his projects in Uganda, Somalia, Nepal, and India. There is also a version for the kiddos!